This week is a bit more tame on the variant cover front with 4 alternate covers available. 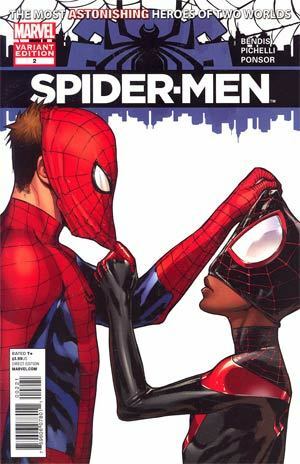 10 new comics featuring a Spider-Man appearance. Right in line with the new Amazing Spider-Man movie release, we have the Lizard front and center in the monthly title. And we also have the 2nd issue of the very fun Spider-Men series. Otherwise, a fairly pedestrian medium-sized week. We're keeping our expectations for the upcoming movie release realistic. Not expecting the ticket sales to approach Avengers numbers, but it could eclipse previous Spidey movies. And above all else, the story and acting will hopefully be spot on. There has been no shortage of teaser clips (seems like one a day almost), and it all looks good so far.